This is annoying for two reasons. First the cover looks awful even more so for a Greatest Hits their volume 1 cover had it right where it looked classy with the suits etc. Secondly being a mash up of the vol 1 and songs from albums after that doesn't work.<br>I think this simply would have worked better as vol 2 and having all singles from Turnaround to present and the new tracks, it could easily fill an album on it's own (2002 - 2011). This way it doesn't also show the change in the group over the years (although it was by all accounts minimal) as they are two different stages of career hence why vol 1/2 greatest hits work better as it shows a full history, this album leaves tracks out from the first half and the second but isn't an amazing best of both if that makes sense. 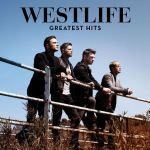 <br>Not fitting really for the most successfull boyband ever here in the UK perhaps they should call it a day the effort for the cover looks like they have done. <br><br>edit: Ok just seen there is a disc 2 with the filling in singles but still think they could of done more with the cover. Also I wrote the original review before they announced they are splitting up. 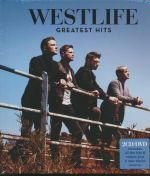 <br><br>12th UK top 10 album. 19 weeks in the UK top 100. <br><br>4 weeks UK top 10. UK#4.<br>Scotland#3. <br>7 weeks Irish top 10. Ireland#1 (1 week). <br>Greece#44.<br><br>Taiwan#1 (7 weeks).<br>South Korea#1 (1 week).<br>Japan#75.<br><br>World Chart#12.<br><br>621,100 copies sold in the UK. Nicht meine Lieblingsband, aber größtenteils in Ordnung. Annehmbare Zusammenstellung ihrer Erfolge, mit denen Westlife durchaus ein großes Publikum erschließen konnte.